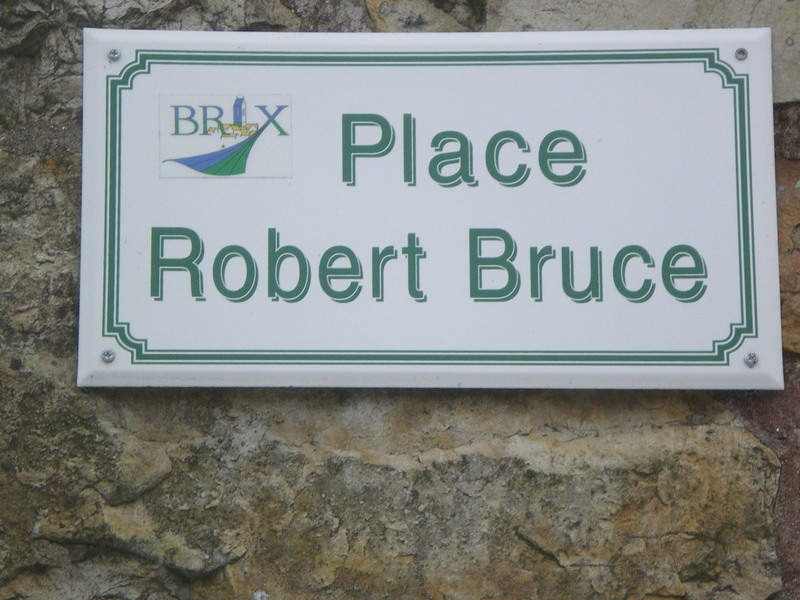 We left the gîte nice and early to meet the main group in the Place Robert Bruce in Brix. It turns out that an ancestor of Robert the Bruce was from Brix and had crossed with the Conqueror; Robert de Brix had become Robert the Bruce. “Another absolutely stonking day. Thanks to the Weather God that overlooks and protects all outings by The Fridays there was no need to don waterproofs at all. A tailwind blew us to the coast and we turned left, across the traffic, with no real problem apart from a nice lady in a campervan needing to be told to stop, and whizzed southwards. 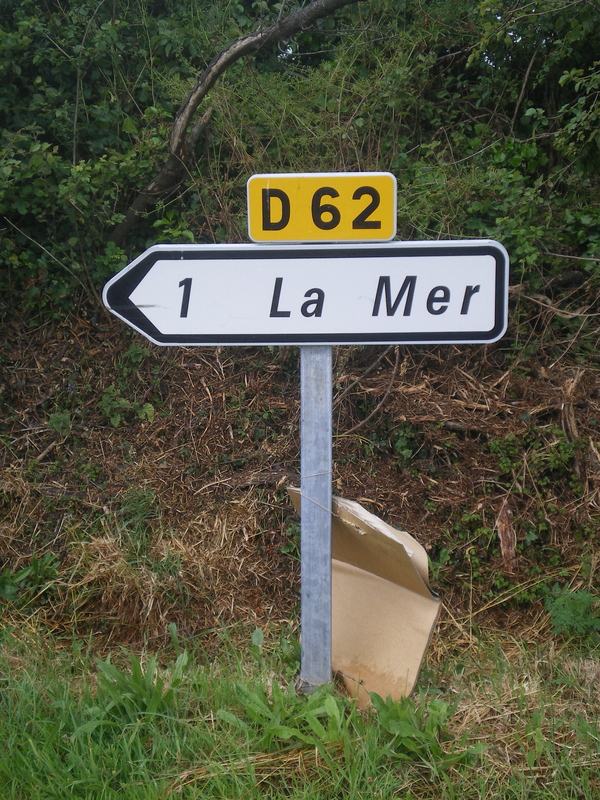 The coast cannot be far! An excellent coffee stop saw lots of hot blooded chaps queuing in the boulangerie in the hope that all such places are staffed by beauties such as we see in the Brix version. Alas we just had to buy cakes and walk away disappointed, albeit only slightly. For some, the boulangerie is not enough! 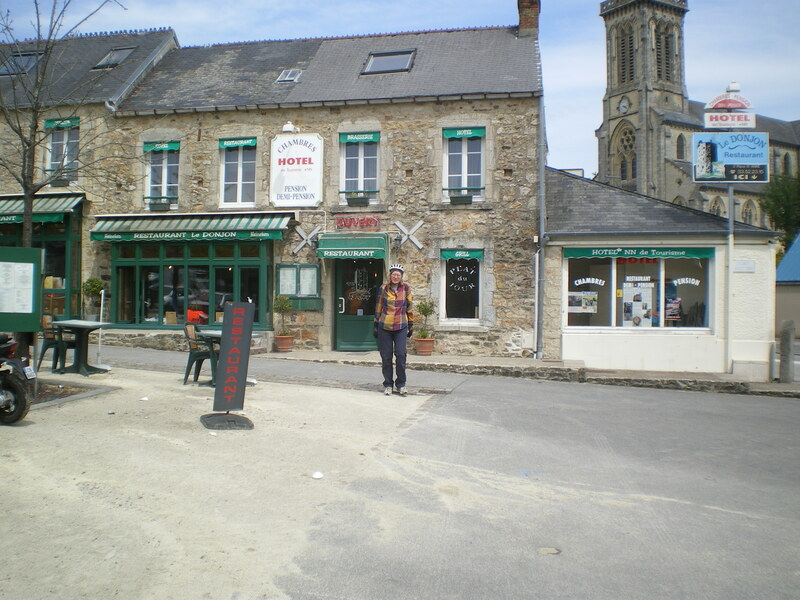 A quick 12k saw us in Briquebec for lunch, where someone riding a Brompton was seen at a trailer that was selling chips. Someone else cast a covetous eye on a kebab house and some of us made sure Gordon was supervised as he took his ladylove out for her birthday lunch. 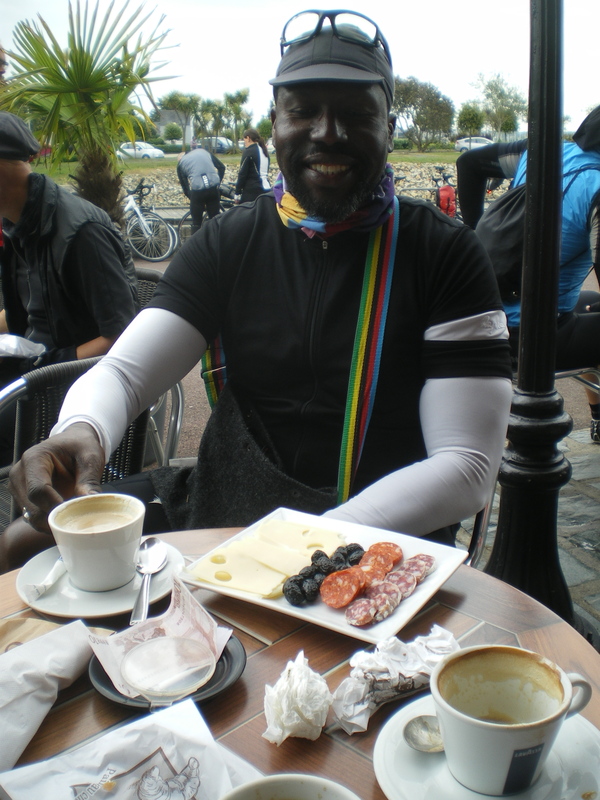 As he had already celebrated her birthday with a Calvados at the coffee stop we worried he might become slightly overcelebratory and we’re not here for that malarky. And the menu at lunch? Assiette viandes, andouillettes, cheese, cider and coffee! The route is here. Today’s mileage = 43. Cumulative mileage = 152.